A&A Machinery Sales, Inc., our asset recovery group will help you convert idled, obsolete, end-of-life, scrap or surplus machinery, manufacturing and process equipment into revenue. We’ll maximize your return and minimize your costs and liabilities. 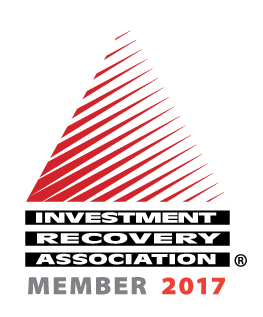 We are your investment recovery partners. With over 20 years of experience in the industry, we’ve put together a strong resume. 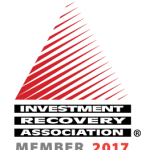 Our investment recovery group has one goal in mind – helping you convert the value of your idled or unused assets into working capital. The professional organization of surplus/idle assets managers and related suppliers and providers. Corporate members are a private and government organizations representing virtually every industry. Associate members provide specialized services including appraisals, auctions/liquidations, dismantling and demolition services, remediation and specialized dispositions. All members agree to abide by an Investment Recovery Code of Ethics, so dealing with an IRA member means you’re dealing with individuals who practice the highest levels of professional conduct within the industry. 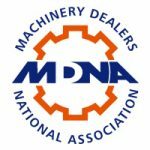 MDNA is a trade association established to promote and act as a resource for the used machinery industry. MDNA boasts almost 400 members worldwide who are industry leaders as machinery dealers, auctioneers and appraisers. Dealing with an MDNA member assures you are working with company that has agreed to a code of ethics, so you know you will be working with a reliable professional demonstrating ethical standards and integrity.